Arsenal legend Arsene Wenger may finally be heading for a new job nearly a year after calling time on his 22 years in charge of the Gunners. The Frenchman, however, does not seem to be heading into a new management position, but could instead be about to take on a role with world football governing body FIFA. That’s according to Le Parisien, who claim an agreement looks close for Wenger to work as something of a special adviser to FIFA president Gianni Infantino. This seems surprising given how long Wenger spent in top-level management, and with the 69-year-old being linked with so many big jobs since leaving Arsenal. 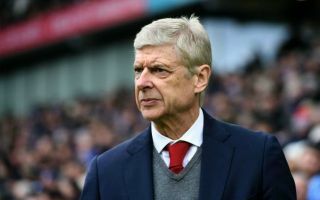 However, it has also been widely felt for some time now that Wenger looked past his best at the highest level after a difficult end to his time at the Emirates Stadium. It could be wise for the three-time Premier League winner to try something else now as it looks increasingly challenging to keep up with an exciting new generation of coaches taking the game by storm.